Contact wear calculated via I2T or IT algorithms, using precise measurements. 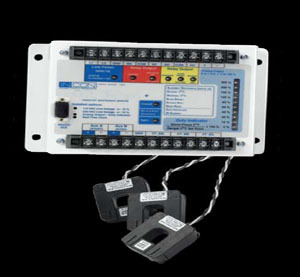 Provides online timing for trip coil circuit and latch, arc duration, clearing time, and mechanical travel. Monitors "52a" and "52b" circuit integrity. Counts total operations and the time between operations. Dimensions: 18.4L x 14.6W x 7.62H cm (7.25L x 5.75W x 3.00H in.